Set within a private wildlife haven in Tennyson Country to the north of the village of Hagworthingham. Spectacular views over the Wolds & Alder Valley Lake. Fishing included. 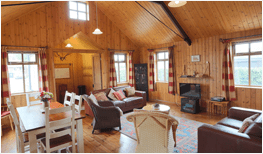 Sympathetically converted into 3 luxury cottages. Located in the peaceful hamlet of Hareby. Ideal for the Lindsey Trail. Stabling available. The local market towns of Spilsby, Horncastle, Louth, Boston & Alford are all nearby along with the coastal resort of Skegness & Mablethorpe. The cathedral city of Lincoln only a 30 minute leisurely drive away. 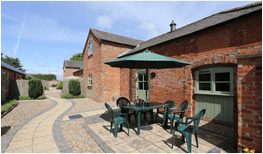 Meridian Retreats offers an exclusive opportunity to stay in some of the finest self-catering properties that Lincolnshire has to offer. 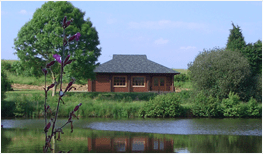 Whether any of your hobbies include fishing, cycling, horse riding or rambling, or you simply wish to relax and unwind in beautiful surroundings, look no further than Meridian Retreats.